It can be a little speculative to predict the most trending ideas for call centers for the year 2019. But all those ideas that have influenced the call center environment one way or another can supersede the other ideas for the time being. Here, we will discuss five such trends and technologies that are going to influence the call centers in the year 2019. These trends may differ in terms of the impact they are creating country-wise, but we are taking them to be the most general ones as per the norms of the call center industry. 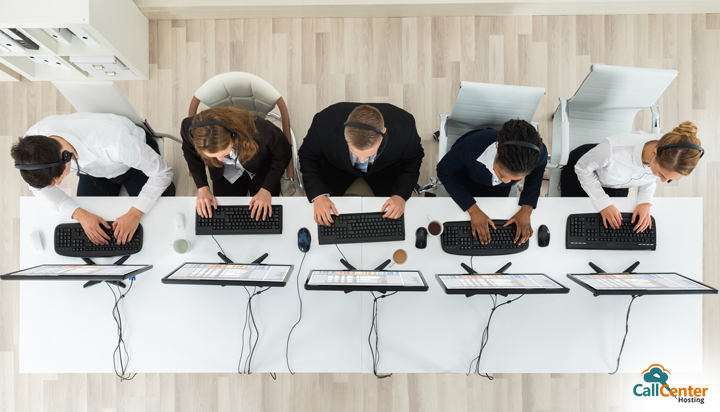 The overall productivity of a call center is judged on the basis of various parameters, and they can only be worked upon with the help of some statistical results that bring the clear picture of the call center performance on the table. Call center analytics is a tool to improve the call center performance. These call center metrics may include average handling time, first call resolution, agent idle time, and others. The importance and subjectivity of these call center metrics differ in different scenarios as the focus goes to a particular result. For example, one type of business might be looking for a first call resolution, and another might be looking for a better average handling time. The reason can be the same for both such as a high call volume. The coming year, the call centers will be focusing highly on the call center analytics because it is only analytics that turns ideas from mere speculations to concrete results. There was a time when a traditional call center had everything in its baggage to deliver good customer experience. But it asked for the maintenance and upgrade of hardware from time to time. That gave an involuntary load to the economics of the call center. In fact, it became a big reason that most of the traditional call centers started thinking about shifting to the cloud. It became a trend, and it is still going to be a hot topic for the coming year. Cloud brings autonomy to the call center owners in terms of virtual call centers and hiring remote agents. The lookout for delivering a seamless customer experience has become highly possible because of the virtual call centers. Because for every waking customer there is a remote agent up and working. The coming year is going to be a year of the cloud as it will stay as one hot trend in the coming year. Ever since social media has touched the core of call centers, it has supported the contemporary customer service environment. The best thing about the call centers being influenced by social media is: social media itself keeps on working on the user experience. Moreover, if customers turn to social media to give some grievances or some feedback, it is just because they are into it and they find it feasible to connect with a company’s business or seek some type of customer support. The previous year itself has given many insights to improve customer service with social media. Call centers will keep benefitting from social media, and if we look at the previous years, social media has given a platform to the companies to interact with customers. Moreover, the call centers have opted for those tools and solutions that work in tandem with social media. The coming year will follow the same suit. The role of AI in the current scenario is unavoidable. The call center has not remained untouched by the intelligent bots, and these bots have made the human absence completely trivial. In other words, a well-programmed chatbot can communicate with customers as good as humans. However, they have their limitations too. According to the CGS study, in its annual Global Consumer Customer Service Report, customers are showing interest in chatbot usage. However, some people still prefer human agents as they think a programmed machine can never replace human intelligence. But a higher number of companies are thinking in the direction of artificial intelligence and chatbots because the processors being used in them are fast and they take a fraction of second to retrieve a response out of the repository of saved answers to put it across. In the year 2019, the digital channels will drive the customer satisfaction in a more promising way. According to a study done by Mckinsey, Higher satisfaction at lower cost: Digitizing customer care, the customer issue resolution can change dramatically by using the digital channels and gives a noticeable boost to the customer satisfaction level. The foundation towards digital channels in the customer service has been made, and that is why 50 to 65% of the respondents in the Mckinsey survey have said that they would prefer to have their transaction handled by eCare channels. These digital channels may include livechat, forums, FAQs, virtual assistant, social media, and others. The demand for digital channels is high, and these channels carry the capability to handle customer queries single-handedly. So, in the coming year too, the digital channel will grow with the number of customers using it. All in all, only time will tell what trends are going to glitter in the coming year but this is true that delivering an awesome customer experience is going to be the main focus for the call centers and they are ready to undergo any transformation for the same. 6 Changes Cloud Has Brought to Call Center Business Why Hosted IVR is Helping Businesses Today?